We are presented with so many possibilities for subject matter all the time and I try never to be without some method of recording something that captures my imagination. In this case it was a camera. The colour of a discarded piece of string which has been tossed overboard by a fisherman out at sea absolutely shouts at me from its neutral background of cool colours. 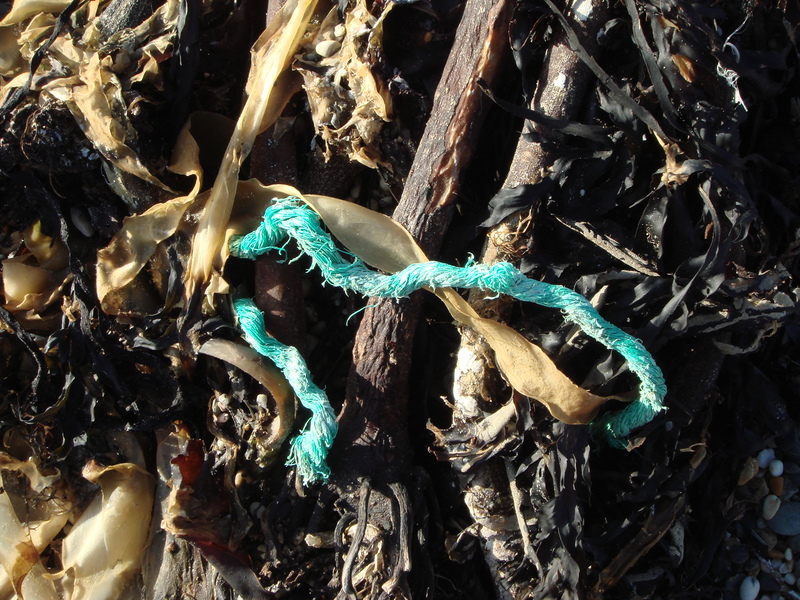 The textures are great – a flash of bright turquoise against the slimy stalks and fronds of seaweed.